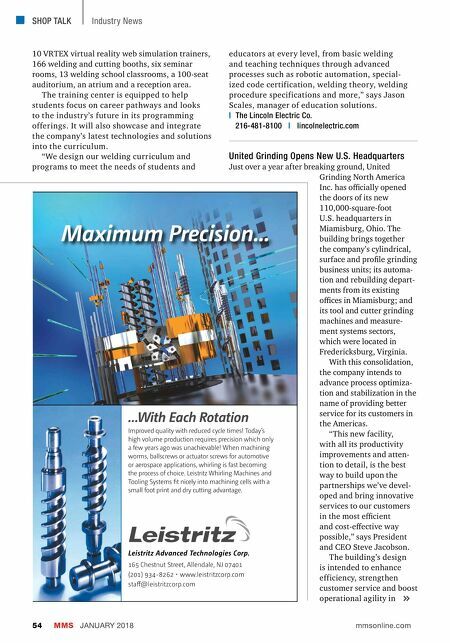 CERATIZIT USA, Inc. 1 800 783 2280 1 586 759 2280 ceratizit.com Info.usa@ceratizit.com NEW GRADE CTPM245 FOR MACHINING HIGH-ALLOY STEELS A HIGHER GRADE IN HIGH-ALLOY STEELS Ultra-modern post treatment process Excellent stability for cleaner, longer cutting Special optimized layer structure Machines longer; more parts per tool New PVD coating technology Toughest high-temperature coating Superior performance in: • 300 Series Austensitic SS • 400 Series Martensitic SS • 15-5 SS • 17-4 SS • Waspalloys • Hastalloys • Superalloys To view the product brochure, visit ceratizitpromos.com/CTPM245. 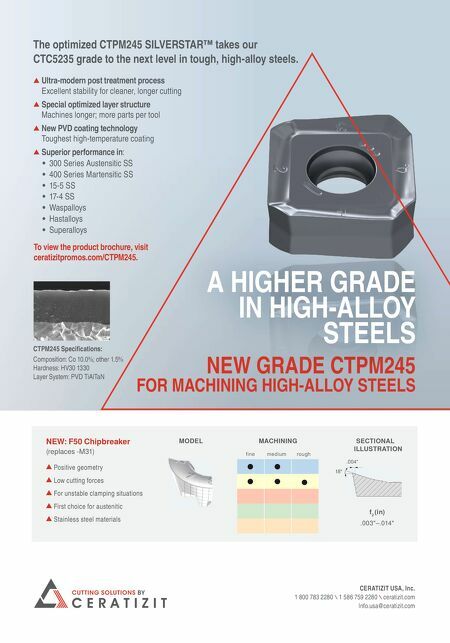 CTPM245 Specifications: Composition: Co 10.0%; other 1.5% Hardness: HV30 1330 Layer System: PVD TiAlTaN The optimized CTPM245 SILVERSTAR™ takes our CTC5235 grade to the next level in tough, high-alloy steels. MODEL MACHINING SECTIONAL ILLUSTRATION fine medium rough NEW: F50 Chipbreaker (replaces -M31) Positive geometry Low cutting forces For unstable clamping situations First choice for austenitic Stainless steel materials 18 ˚ f 2 (in) .003"–.014" .004"